While Windermere and Ambleside are the main tourist hubs of the Southern lakes, the beautiful town of Keswick is the tourist hot spot in the Northern lakes. 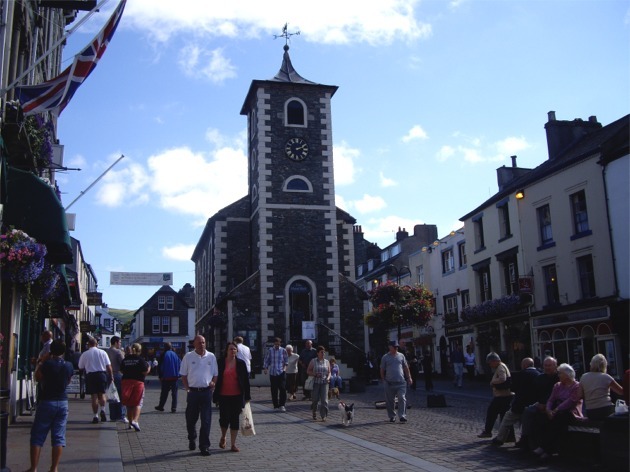 Keswick is a pretty market town, it's main street is dominated by a moot hall which is now the tourist information office. The town actually lies between the two lakes of Derwent water and Bassenthwaite Lake, it's much closer to Derwentwater though which is a pleasant short walk away from the town centre. The Pencil Museum - Pencils have been made in Keswick since the 16th century when black lead was discovered in Seathwaite. The Theatre by the Lake - I remember many trips to Keswick quite a few years ago and seeing the collection of blue portakabin type buildings by the lake which made up the Century theatre, this has now gone but has been replaced by the impressive new 400 seat theatre. Hope Park Crazy Golf - Again in my younger days a trip to Keswick would invariably involve a walk to the lake from the centre of town and the path would always take us past the lovely hope park with its crazy golf course, well recommended on a nice day. 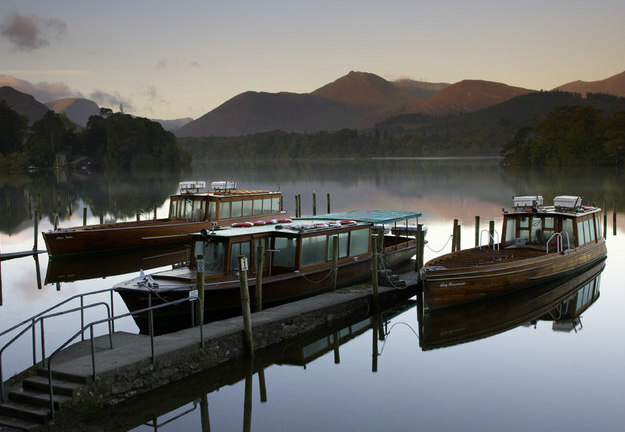 Keswick Launch and Boat hire - Down by the lake you will find the Keswick Launch, you can take a 50 minute trip around the lake on the boat, or get off at various points and explore. The company also hires rowing boats and small motor boats to have a little fun on the lake. Keswick Museum and Art Gallery - Fitz Park - Unfortunately the museum is currently closed for refurbishment after winning funning via a lottery grant, but it's worth a visit once it re- opens and was ranked the third strangest museum in the world by Helium.com.